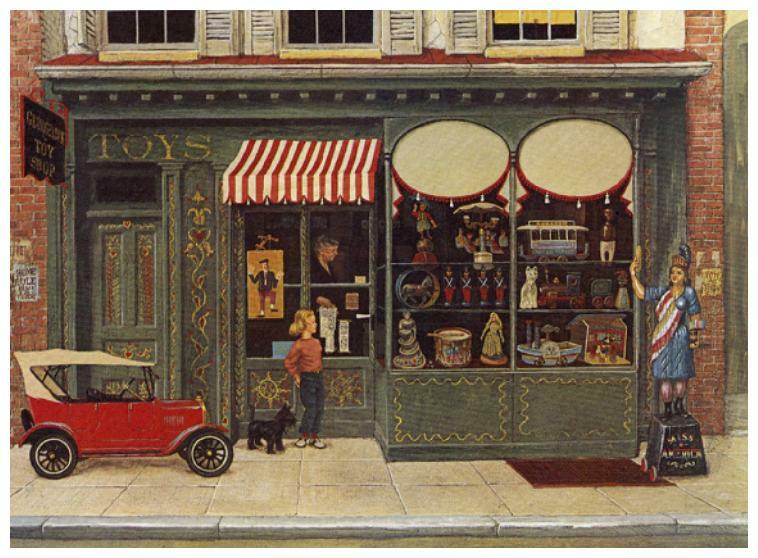 The toy shop was located at 2929 M Street, NW, Georgetown, Washington DC. The building had been part of the Union Hotel circa 1796. Among the guests of the hotel were General Lafayette, Talleyrand, the Foreign Minister of France, and Napoleon III. Mrs. Roosevelt is shown in the shop making a purchase for a grandchild.